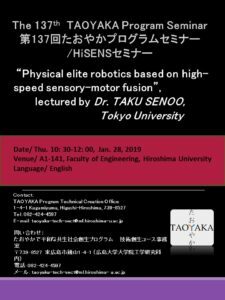 The 137th TAOYAKA Program Seminar will be held . Everyone is welcome. We look forward to seeing you at the seminar.